Last week we announced Dropbox integration in Zoho Projects. 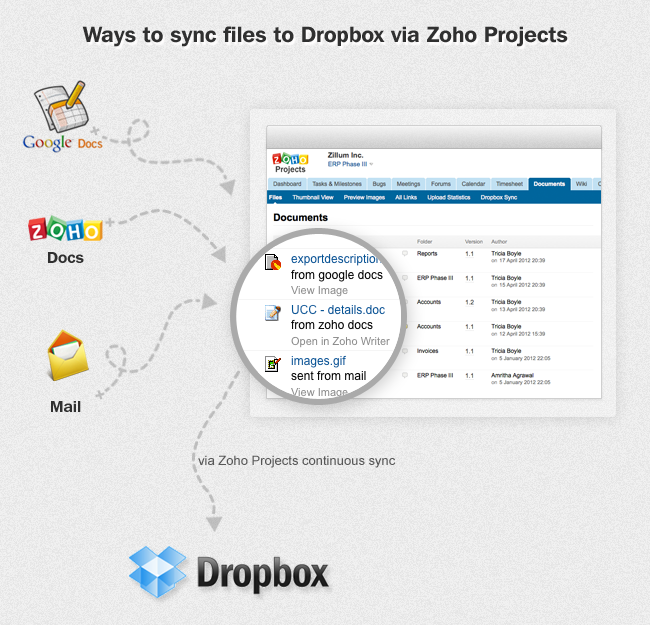 On this front today we’re listing out the possible ways to sync files in Dropbox via Zoho Projects. 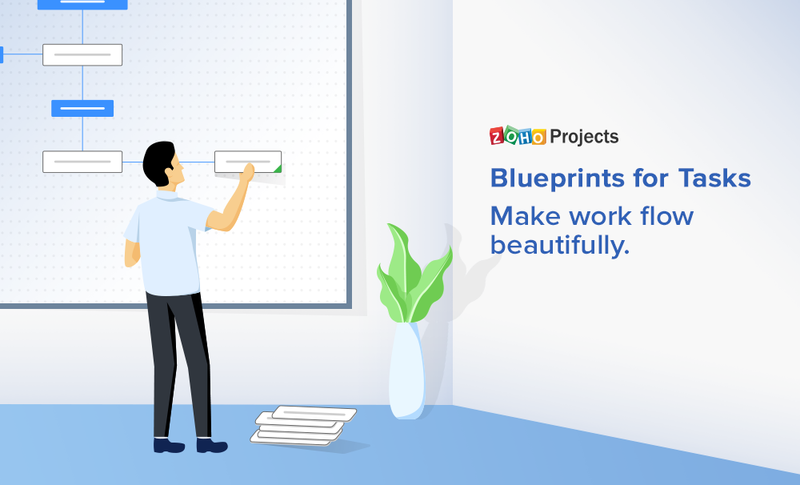 In Zoho Projects, every folder is associated with an email address. Just copy this email address compose a mail along with an attachment and click send.That’s it, your file is uploaded in Zoho Projects. And if this folder is configured for syncing with your Dropbox presto…your file is now available in your Dropbox account. Upload files from your Zoho or Google Docs into a folder that is already synced with your Dropbox account. This way your files are automatically pushed from Zoho or Google Docs into your Dropbox from anywhere. Isn’t it cool ? Try and let us know your views. Need google docs to go to files. Esta integraÃ§Ã£o chegou para melhorar o que jÃ¡ Ã© Ã³timo, agora o upload dos arquivos utilizados no projetos tornou-se uma simples tarefa. Very Cool. Does google drive integration happen automatically via google docs?